PHOTOS: Rebuilding Together 2018 | IBEW 569 Gives Back! 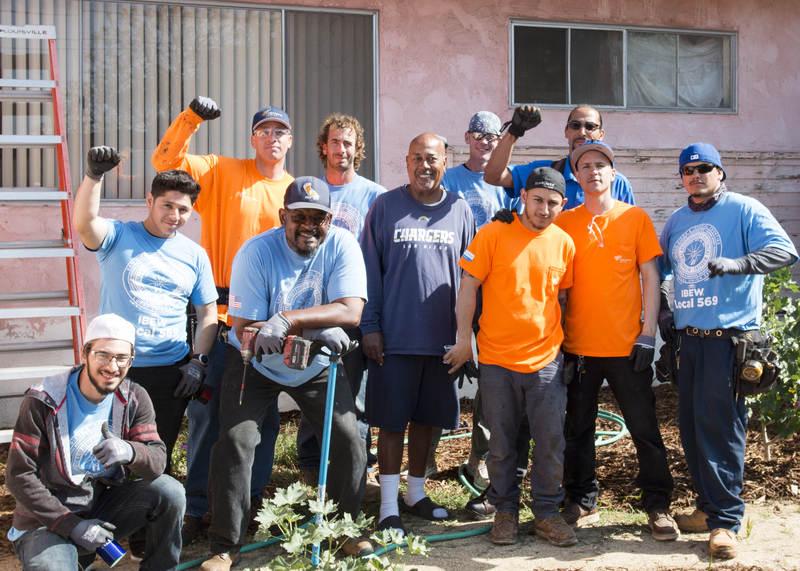 Over one hundred IBEW 569 electricians and power professionals donated 500+ hours toward Rebuilding Together San Diego (RTSD), a non-profit that coordinates renovations of low-income homes and community facilities. IBEW 569 replaced faulty electrical systems for a veteran, disabled seniors, and families in need, as well as two homes that provide housing counseling, and social services to 34 mentally ill, homeless and/or abused women. We are grateful for the outpouring of support from our members and the contributions of materials and resources from our signatory contractors. Together, we are strengthening our communities. #UnionsGiveBack #IBEWstrong! Photos by IBEW 569 Member Timothy Dunbar.